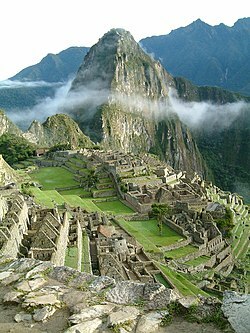 Peru (/pəˈruː/ muChiSpanish: Perú; muChiQuechua: Perú or Piruw; muChiAymara: Piruw) inyika iri kuziwumbe reSouth America. Nyika iyi ine miganhu neBrazil, Colombia, Ecuador, Bolivia neChile. This page was last edited on 23 Kurume 2018, at 21:34.